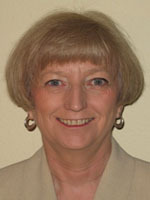 Lynne Herndon has over twenty years experience teaching science at the middle, high school and college level, five of which have been in a block schedule. She has conducted workshops at the local, state, and national levels in the areas of classroom management, curriculum mapping, differentiated instruction, integrating technology and teaching in a block schedule. She also has experience working in staff development, curriculum design and school improvement planning. Lynne’s educational background includes a Bachelor’s Degree in General Science from Buena Vista University and a Masters Degree in Science Education from the University of Northern Iowa. Lynne is dedicated to providing research-based growth opportunities that have practical applications for classroom teachers. Lynne’s written works includes Differentiated Instruction in a Block Schedule written with co-author Gayle Gregory, Thinking Inside the Block Schedule written with co-authors, Pam Robbins and Gayle Gregory, Thinking Inside the Block: The Teacher's Day Planner, written with co-author Pam Robbins, both published by Corwin Press (1998). Lynne may be contacted at 702-269-4872 or by E-mail at lynne.herndon@herndons-net.com.